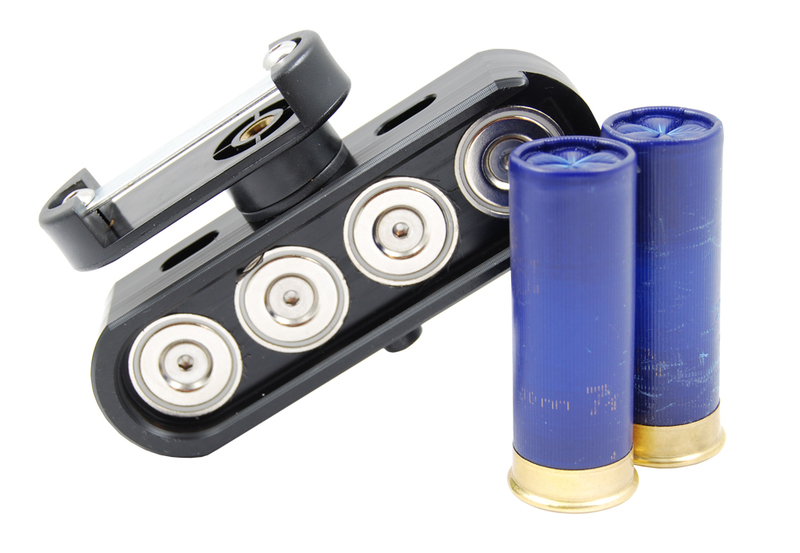 The DAA Magnetic 12GA Caddy is a new innovative approach to competition carry of 12GA ammo. Gripping the shells only by their base, eliminates the need to make adjustments as you change from one shell length to the next. The caddy utilizes the same belt-hanger used for our Racer and Magnetic pouches. This belt-hanger allows you to attach the Caddy to any 1.5” belt, firmly and securely without any wiggle or play. The Caddy can be assembled from either side, and at your chosen angle, providing you an unlimited range of positioning options to suite your preferred reloading technique. 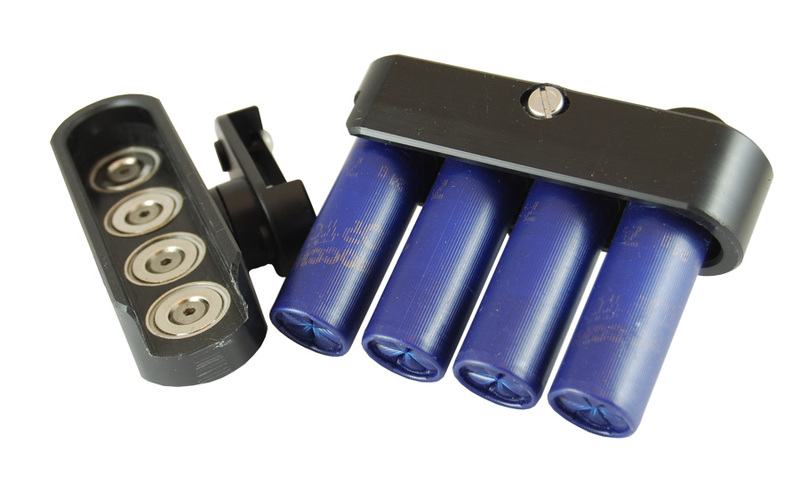 The powerful magnets hold the individual shells securely and allow you to grab as many or as few as you choose, while the remaining shells are held in place for later use. 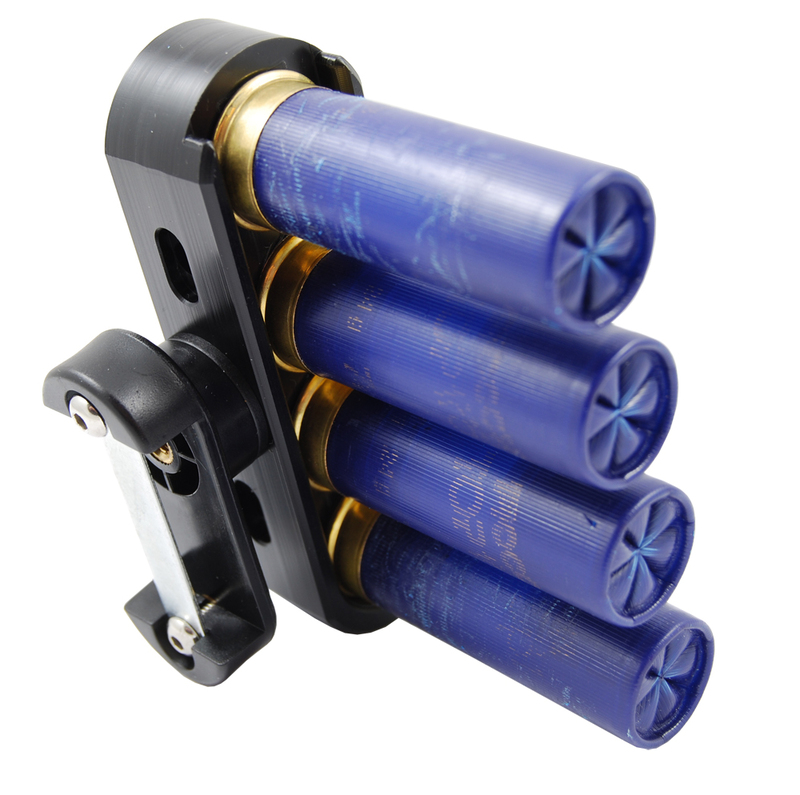 Unlike other traditional caddy designs, the DAA Magnetic 12GA Caddy holds the lower shells securely even when the top shells are removed.